So far, we have had 4 hunters to Liberia this season (with 6 more scheduled for March 4 - April 9 plus two more after that). 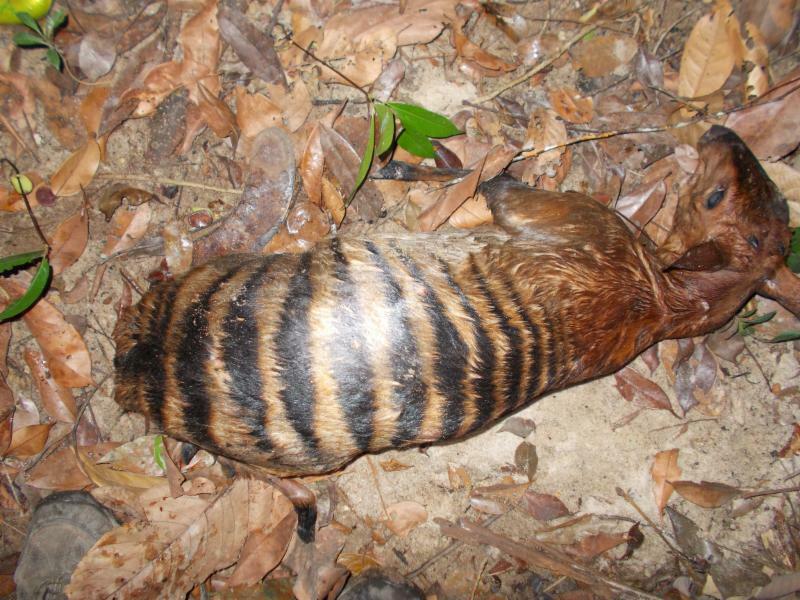 Each of the first 4 hunters shot several species of Duikers, with 3 of the 4 shooting Zebra Duikers (the 4th one shot a highly-prized Water Chevrotain). 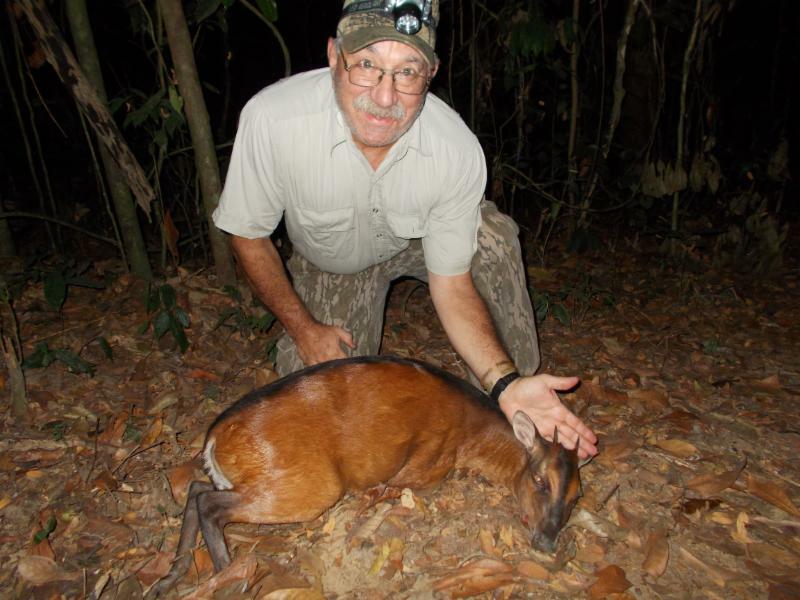 Dave Erway shot what should be the New World Record Bay Duiker with horns over 6-inches long!! 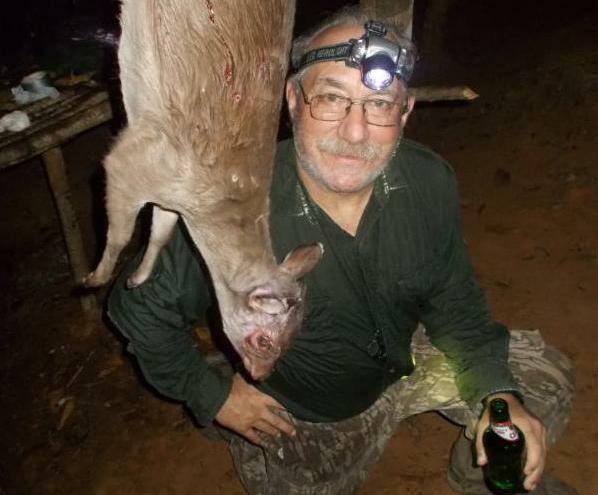 All 4 hunters shot Black Duikers, with Dr. Joe Susi's tentatively measured as the new #9!! And Dr. Susi shot 2 Zebra Duikers! Following is his report and photos.. I wanted to drop you guys a note about my recent safari to Liberia. The hunt was a success in that I got 7 animals of 4 species of forest duiker and could have had a golden cat but for a misfire in the gun I was using. I've been on 15 safaris in 10 countries and this was by far the most unique. Almost all of the hunting is done at night and most of the day is spent sitting around camp so it reverses the normal order of most hunting trips. I booked the hunt with Ken Wilson of Sportsmen on Film and the equipment list he gave me was very complete. The only addition I would make is to add some shoes with a steel shank sole. When they cut the trails they use machetes and many of the small trees are cut at an angle and its easy to pierce regular soles. I have included some pictures of the duikers. The zebra and black duikers are obviously named. The Bay duiker is reddish with a black stripe down its spine. 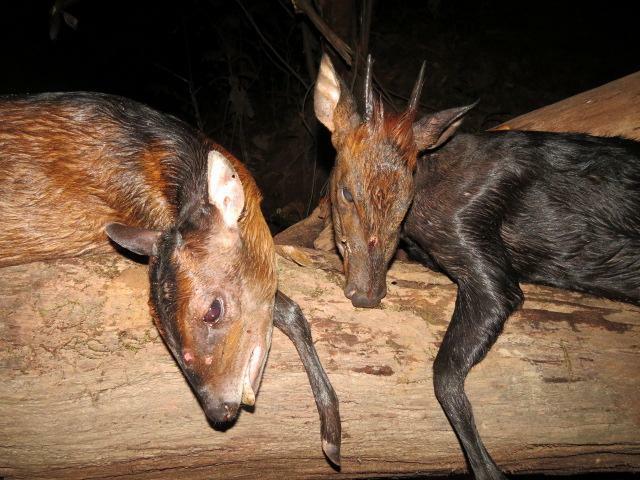 The Maxwell's is a nondescript gray duiker not dissimilar from the blue duiker of southern and central Africa. The camp is pretty rough but the guys in camp are very helpful and accommodating. I'm a birdwatcher as well as a hunter and so I spent a lot of the day birding and also reading. I'm glad I brought 4 books on the trip as I read all of them. If you have specific questions feel free to contact me. 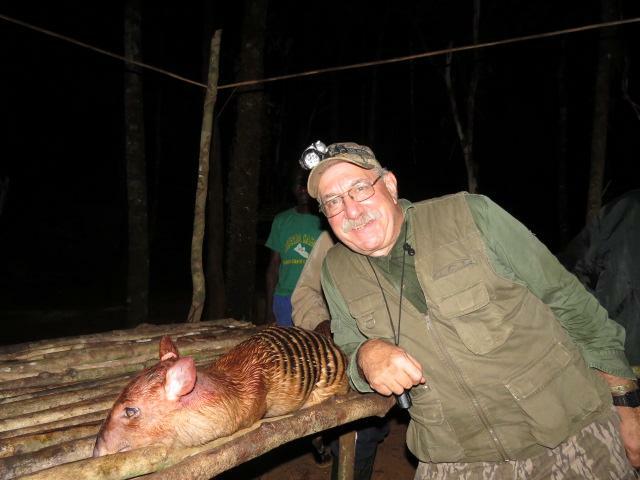 We still have openings to hunt Liberia April - June this year AND we are now booking for January - June next year. If you still need a Northeastern Whitetail, or if you just love to hunt, Lad has put together a terrific bargain at the beautiful and famous Legend's Ranch in Michigan for October 31 - November 4, 2016. The all-inclusive price is only $3,500 ... and that would be a bargain for the license, airport pick-up and delivery, luxury lodging, gourmet food, full bar, and trophy care, BUT IT ALSO INCLUDES THE TROPHY FEE FOR A BUCK UP TO 160 OR 3 CULL BUCKS!!!! Call Lad on his cell for more information: 720-503-7666. He needs company when he hunts.